In part two, we assess the midfield and forward options that are available to Roy Hodgson in the upcoming Euro 2016 tournament. The former Fulham manager has an abundance of options available in the midfield and striking department and some tough choices will have to be made when it comes to naming just 23 players. England have a lack of true defensive midfielders available to pick from. The main defensive-minded midfield option who has guaranteed a ticket to France is Tottenham’s Eric Dier. The former Sporting Lisbon midfielder has enjoyed a sensational season in North London playing a holding role in front of the back four. He will be a versatile option as he can also play at centre-half; where he made a goal-scoring appearance against Germany in a recent friendly. There are other options available to Hodgson if he wants to utilise a defensive midfield setup. Manchester United’s Michael Carrick has a chance of making the squad but his omission from the latest squad could indicate that Hodgson would prefer other centre midfield options. Both Gareth Barry and Jack Cork are other possibilities but the Everton midfielder has not featured since 2012 and the Swansea midfielder has been constantly overlooked. The PFA Player of the Season contender, Dele Alli, will be one of the first names on the squad list when it comes to picking just 23 players. The former MK Dons midfielder capped his meteoric rise to fame with a fantastic performance against Germany. The Tottenham midfielder has been absolutely superb this season and will be one of England’s most important players in years to come. Liverpool captain Jordan Henderson should also book his place on the plane despite not enjoying his best season with the Reds. A constant heel injury has hampered his return from injury but Hodgson remains a big fan of the former Sunderland man. Everton’s Ross Barkley has also been sensational for the Toffees this season and adds flair as well as creativity to the England squad. In my eyes, he should be one of the first names on the team-sheet and can lead England to glory in the Euros. Former Manchester City man, James Milner, should also travel to France. Milner is probably the hardest working member of the England squad and provides experience to a youthful squad. The Liverpool veteran is able to play anywhere on the pitch and will always give 100% on the pitch. Euro 2016 will be his last international tournament as he has hinted he will retire from international football upon its completion. Leicester’s Danny Drinkwater has been an essential member of the Foxes Premier League title bid and his form cannot go unnoticed meaning a call-up is likely. Centre midfield is where a lot of tough choices will be made and many players will have to miss out. It is well documented that Hodgson is a big fan of Arsenal’s Jack Wilshere. The 24-year-old usually performs well when representing the Three Lions and could make the cut if he can overcome his fitness problems. Liverpool’s £25m signing Adam Lallana also has work to do if he is to make the cut as other options may be preferred. However, the former Southampton man is enjoying a good run of form and has been selected in recent England squads; starting against Germany in the 3-2 win. Ryan Mason, Jonjo Shelvey and Fabian Delph are other options available to Hodgson but may have to rely on injuries in order to guarantee themselves a call-up for the tournament. Hammers midfielder, Mark Noble, has been overlooked yet again for the most recent England squad despite an impressive season and has admitted that he believes his England hopes are now over. Manchester City wide man Raheem Sterling should have guaranteed his place in the squad due to playing regularly for City. 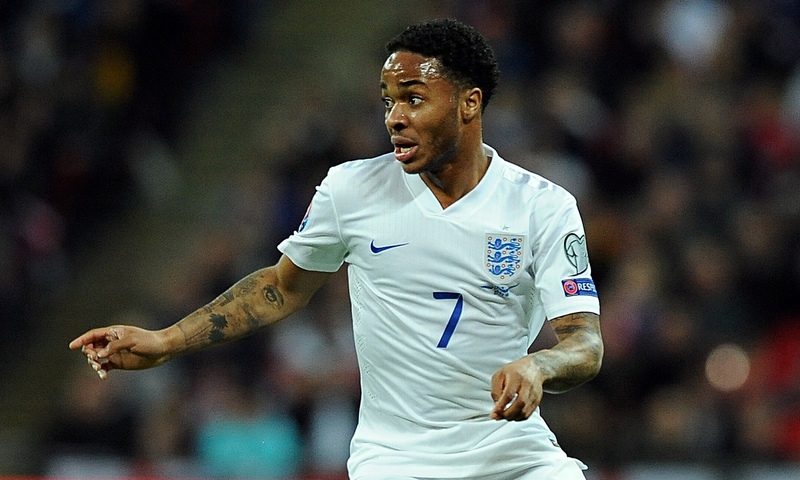 He is a one of Hodgson’s favourites and is probably England’s best winger. Sterling has scored six goals and registered two assists for the Citizens this season. Arsenal duo Theo Walcott and Alex Oxlade-Chamberlain should make the squad despite not being guaranteed starters at the Emirates. The English duo give the team width and pace but their lack of appearances has led to suggestions that other options should be given a chance to impress. One of the suggested names is West Ham winger Michael Antonio. The £12m signing from Nottingham Forest has hit the ground running for the Hammers this season and has played a vital role in their push for the top four. There have been calls to give the winger a chance. Aaron Lennon, Wilfried Zaha and Andros Townsend are the other options out wide but have a low chance of making the cut. Choosing a striker is probably the hardest decision that Hodgson will have to make in the summer. Not a bad problem to have but a problem nonetheless. In my eyes, there is only one definite striker who will be starting in France. That man is Harry Kane. The Tottenham striker has proved he is no one hit wonder and has enjoyed another goal-laden season. The problem lies with picking his partner. There have been doubts over Wayne Rooney’s inclusion in the squad. Despite being England’s captain, there have been many calls to drop the Manchester United forward as there have been better performing forwards this season. Leicester’s Jamie Vardy has been one of the best players in the league this season scoring 19 goals meaning he must be included in the squad. He made a goalscoring appearance off the bench against Germany and should partner Kane in attack. Now that Jurgen Klopp has managed to keep Daniel Sturridge fit, his ability cannot be forgotten. 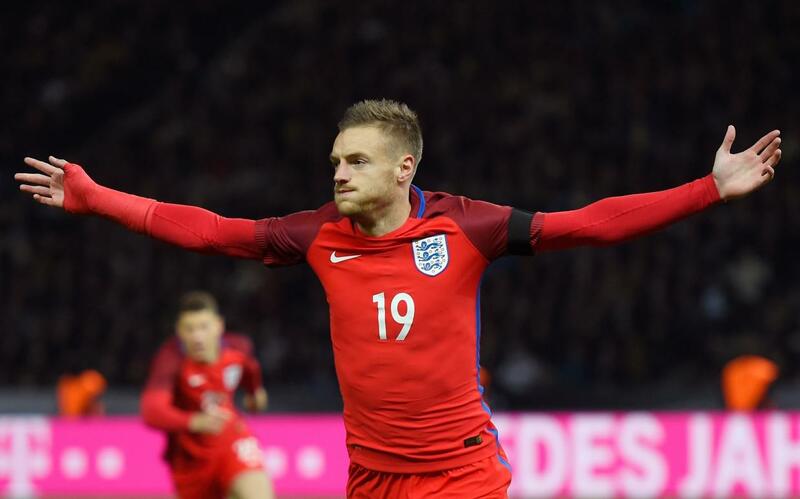 On his day, the former Chelsea striker is world-class and will provide England with pace in attack. Another option in attack is Danny Welbeck. The former Manchester United striker recently completed his return from injury and like Wilshere usually performs well when wearing the white of England. Due to the options available, Troy Deeney, as well as Jermain Defoe and Saido Berahino, will have little chance of making the squad due to quality players ahead of them. Who would be your England striking partnership?